Now that he is King of the Brownies, Elliot is holding the goblin Grissel hostage until he promises to stop eating the Brownies, but the Pixie Princess Fidget wants him released. 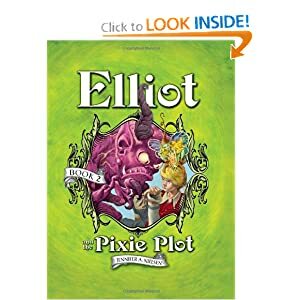 In the interest of peace and diplomacy, Elliot and Fidget manage to bargain: The Pixies want the Fairies out of Glimmering Forest, and all they need to accomplish this is one hair from their worst enemy, the Demon Kovol. As with all political maneuverings, Elliot is forced to appease the Fairies as well, by procuring a sock off the foot of the Demon Kovol. So that’s where Elliot winds up: alone in the underworld, trying to steal a hair for the Pixies and a sock for the Fairies. From a demon. 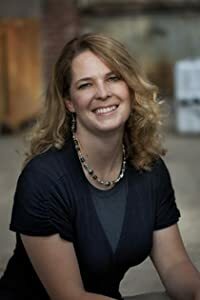 About the Author Jennifer lives at the base of a very tall mountain in Northern Utah with her husband, three children, a naughty puppy, and a fat lizard. She loves the smell of rainy days, hot chocolate, and old books, preferably all at once. At one time or another she has been a high school debate coach, theater director, daycare worker, and worked at an assembly of odd jobs so insignificant they didn't even deserve job titles. Though I had not read the first book int he series, this book was a fun and easy read. The characters were well developed and in a society today where elves, pixies, vampires and the like are popular, this book fits right in. I decided to share this book with my eldest and she could not get enough. While some of the words were ones that she (as a six year old) did not know or understand, she was able to take the book from me and was able to read much of the story herself (she is reading at a high reading level). All-in-all this book would be great for upper-elementary and middle school readers and you and your children will find the book to be full of fun, adventure and a bit of suspense as well. The book was great and is one that I would highly recommend!